This is Echo a Boston Terrier who is also an Astromutt. The helmet you see here is only for Photos. She also has one with the front cut out for longer wear time. Echos humans are very Costume Saftey conscious. They assure me that their Astromutt is not suffering any discomfort here. Thanks for the entry David. 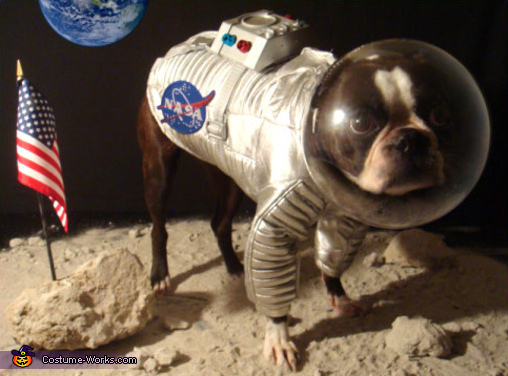 This homemade costume for pets entered our 2009 Halloween Costume Contest.